On December 19 at 7:18 p.m., Bedford County Sheriff’s deputies were dispatched to 1025 Buffalo Run Road, Thaxton, in reference to an assault. Deputies arrive at the address and spoke with the caller, who stated that Jessica Hiner had showed up at her residence with blood on her clothing. Hiner told her that she had been involved in an altercation with Phillip Helms and then left on foot. Deputies then went to the Helms residence at 1577 Irving Road. While attempting to get an answer at the door, deputies observe what appeared to be drops of dried blood near the door. At 9:00 p.m., Roanoke Memorial Hospital notified Bedford County dispatchers that Phillip Helms was in their emergency department. He had lacerations to his hand and chest area. A deputy responded to the hospital and interviewed Helms. At 11:29 p.m., deputies went to 215 Meadow Creek Drive where they located Jessica Hiner, age 27. After being advised that she was arrested for malicious wounding, she assaulted the deputy and resisted being handcuffed. 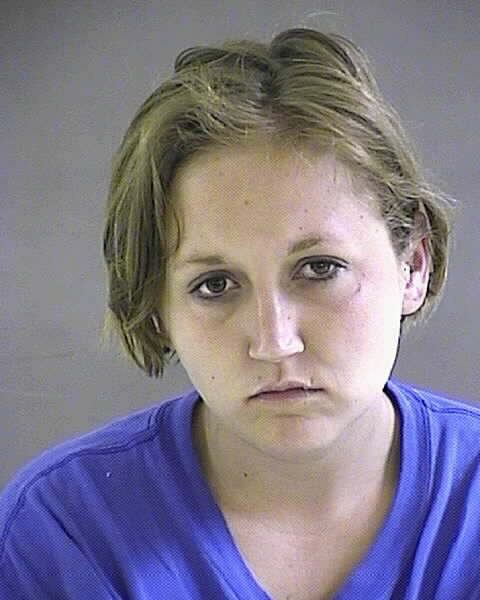 She was transported to the Blue Ridge Regional Jail in Bedford, where she is being held without bond. She is charged with malicious wounding, assault on a police officer and obstruction of justice. Deputies believe alcohol was involved in this incident. Investigation of this incident is ongoing.